Children should do chores. That’s a controversial premise, though not everyone will admit it. 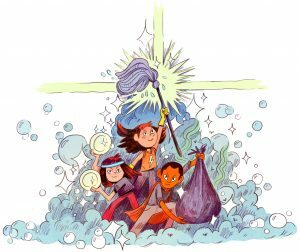 A few parents will declare outright that their children are “too busy for chores” or that “their job is school.” Many more of us assign chores, or say we believe in them, but the chores just don’t get done. That’s a problem. For starters, chores are good for kids. Being a part of the routine work of running a household helps children develop an awareness of the needs of others, while at the same time contributing to their emotional well-being. Children who consider themselves necessary to the family are less likely to feel adrift in a world where everyone wants to feel needed.